We know that from the outside, St Mark & St Cuthbert is not your pretty, traditional church, but step inside and you might be surprised! We often read banns of marriage for people who live near the church but are getting married elsewhere because they don’t know how light and spacious the inside is. 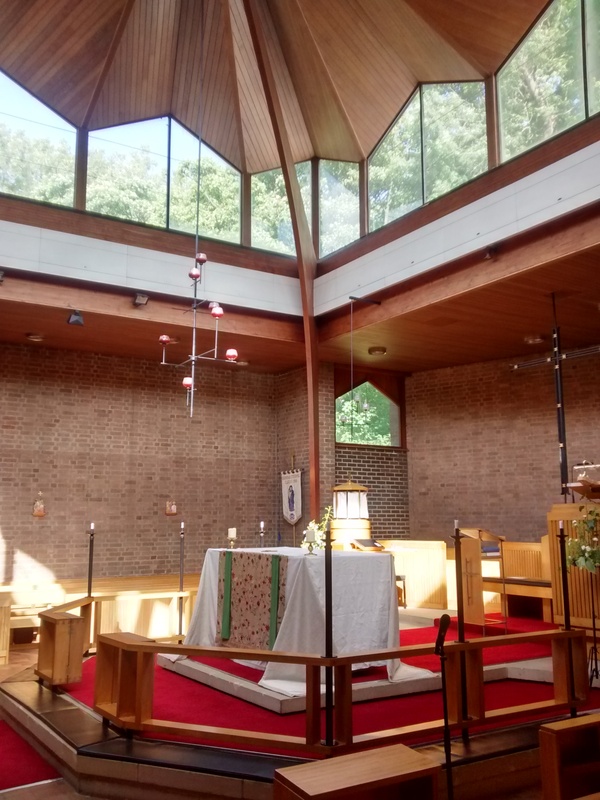 If you live in Cleadon Park, come and have a look round – St Mark & St Cuthbert has plenty of space for your friends and family, who because of the unusual design of the church will be very close to you as you take your vows. We would be delighted to show you around and talk to you about holding your wedding here. See below for when you can best look in for a visit. 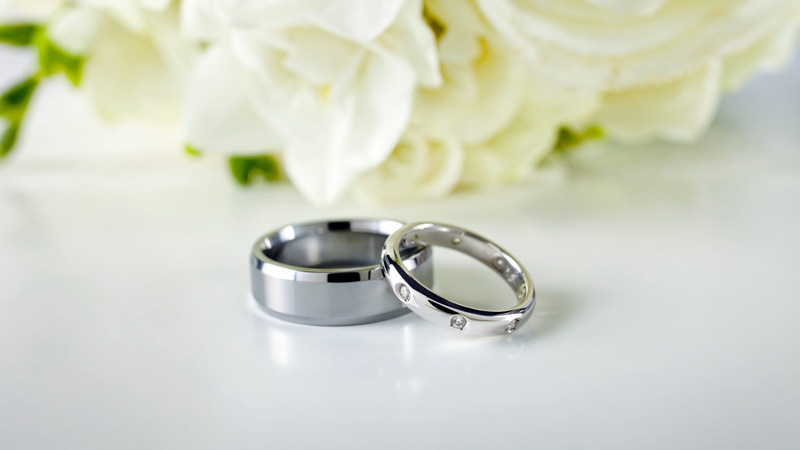 If you would like to marry here, then we will give you an information leaflet and an application form for you to let us know which date you would like. We’ll help you through the paperwork and set up some meetings to talk about making the service personal to you. 2019 weddings will cost £650 September to June, and a little less in July and August if the heating doesn’t need to be on. That includes the service, vicar, music, flowers, legal requirements and certificate. If we can’t tempt you to be married here, but you live in this parish, you will need to have your banns called here as well as the church in which you intend to be married. 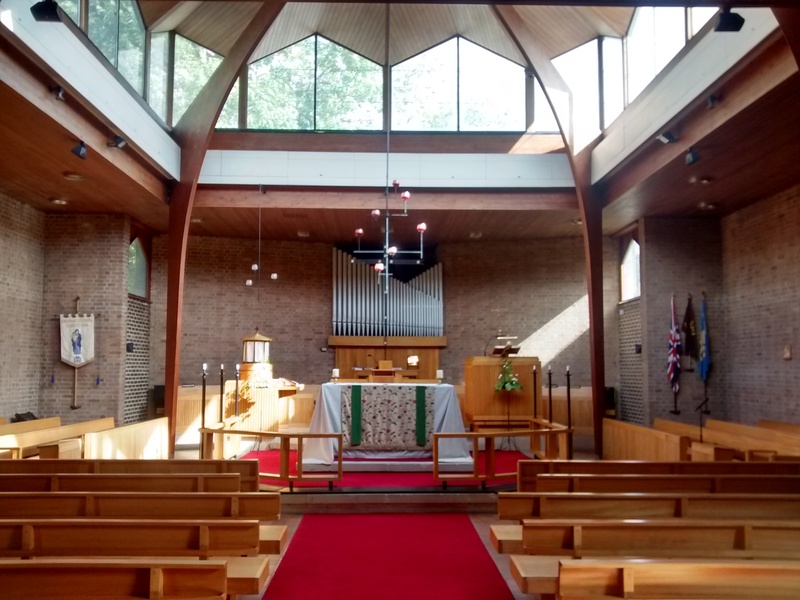 In 2019 it costs £44 to call banns for a wedding elsewhere, and you can pop in to any of our services, to the coffee morning on the 2nd Saturday of the month in the Church Hall to pick up and fill in an application form, or call the vicarage on 455 4682. Banns need to be read at least three weeks in advance of the wedding, so don’t leave it too late!